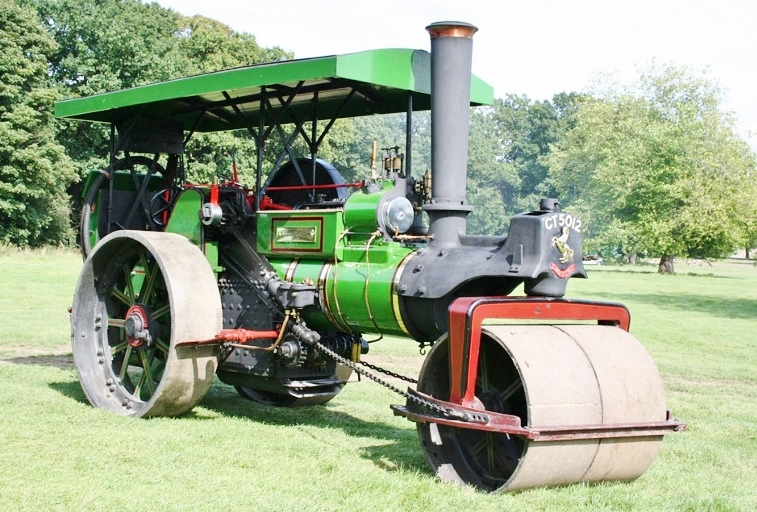 A John Fowler steam roller at work in Oulton. It was built in Hunslet in 1887 and bought by Young & Doggett in 1923. It was last licensed in 1928. Fred Dibnah, the television historian and steam preservationist, would have been in his element if he’d have been able to visit Oulton and Woodlesford. He would have revelled in the local industrial scene of quarries, collieries, railway and canal, and he would have loved to hold court over a few pints of Bentley’s beer at one of their pubs where steam powered traction engines and road rollers, similar to his own, once passed by. As far as we know Fred never made it to the area in his quest to tell the story of Britain’s industrial past and the workers who created it, but in his own quieter way Derek Rayner, who was born in Rothwell, and who has deep family roots in Oulton and Woodlesford, has done a similar job to Fred. Derek first drove a traction engine in 1963. 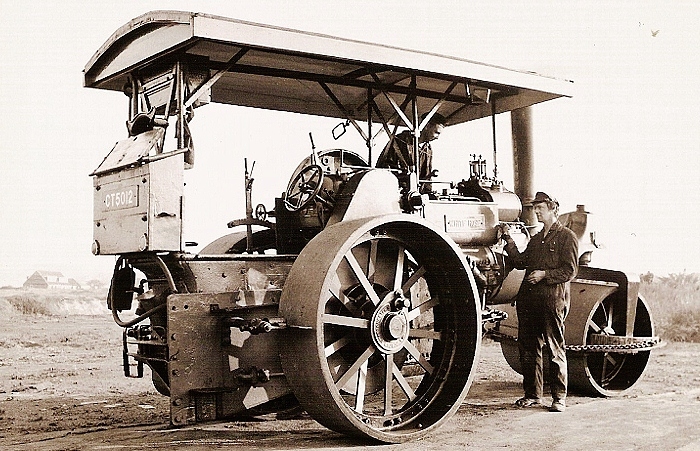 A year later, along with two friends, he purchased an Aveling & Porter steam roller built in 1915. He became the sole owner of “White Rose” in 1968 and kept it in the old stone sawmill at Armitage’s quarry at Woodlesford whilst he was restoring it. He has also researched the history of two firms which owned traction engines and steam rollers locally – Minett & Jackson, and their successors, Young & Doggett. 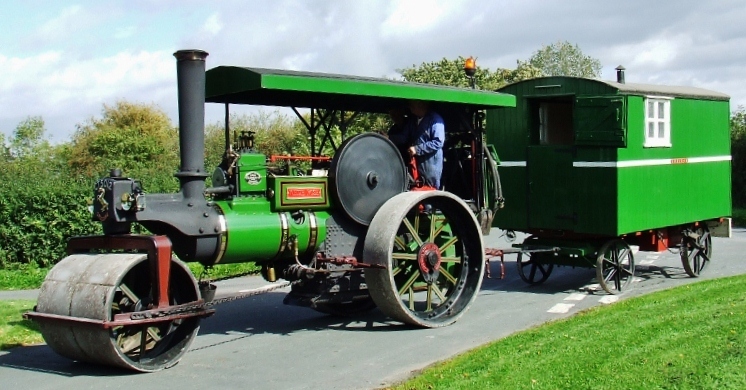 The pages in this section of the website are based on Derek’s articles about them in “Steaming”, the magazine of the National Traction Engine Trust. Derek is the president of the Leeds & District Traction Engine Club and a vice chairman and archivist of the Road Roller Association. Retired from a career on the railways he works part-time as technical advisor for the commercial vintage restoration magazine “Old Glory” and is a member of the Institute of Mechanical Engineers and a Chartered Engineer. “White Rose” and a living van also restored by Derek are kept on a farm near York and can be seen at traction engine rallies during the summer. 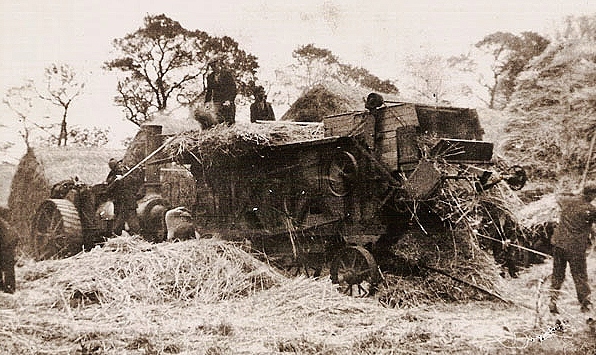 A threshing scene at Wood End or “top” farm at Woodlesford, close to what is now Northwood Falls. It shows Young & Doggett’s Marshall traction engine which had been bought from John Robert Patrick of Rothwell Haigh around 1921. The engine was built in 1900 and last licensed in 1943. The man on the top is Frank Young’s only son, George Arthur Young, known as “Arty.” The scene is similar to one shown in the television comedy “Dad’s Army” in which Corporal Jones fell through a hole in the top and had his trousers ripped off. Derek Rayner, standing, with”White Rose” on the quarry top at Woodlesford. The steersman is Ken Tonks who lived at Swillington and was a fitter at Holbeck engine shed. 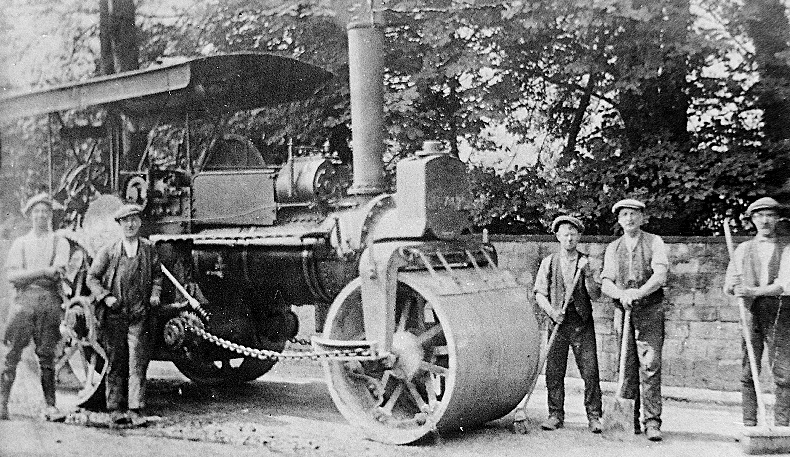 The 8 ton steam roller was first used by to William E. Free at Marlborough in Wiltshire. She came to the West Riding before the Second World War and was owned first by Harry Ellis of Netherton and then George Graham (Contractors) of Huddersfield, before passing to the firm of Joshua Rodgers, South Crosland, Huddersfield, in 1959. “White Rose” in 2007 after a rally at Harewood Park. “White Rose” with living van, also restored by Derek Rayner, near York in 2011.